Stockholm recounts the absurd true story that sent psychologists scrambling to explain why a group of bank clerks insisted on defending the thief who had taken them hostage. 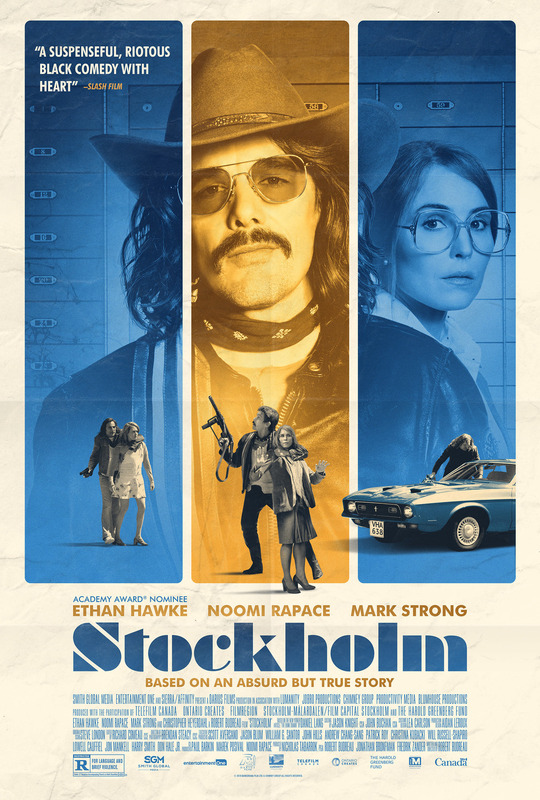 Ethan Hawke stars as Lars, a charming, bumbling, Bob Dylan-loving crook who storms into the Swedish capital’s mightiest money lender and confuses hostages and police alike with his bizarre demands—like requesting an accomplice and friend (Mark Strong) be released from prison to join him in his delinquency. As the hostages come to realize that Lars couldn’t hurt a fly, bank clerk Bianca (a revelatory Noomi Rapace) and her fellow captives help him hatch a plan to prolong the standoff and escape with millions.